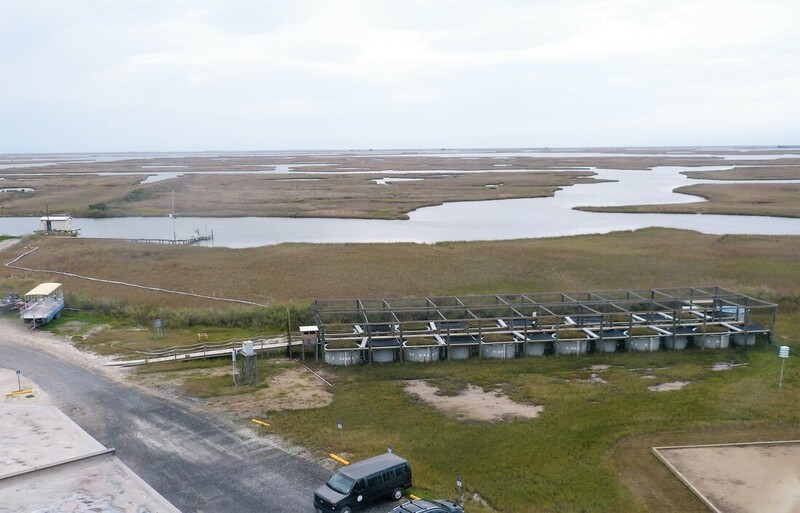 The salt marsh mesocosm system is made of 12 hydrologically independent tanks (10’ diameter, 5’ tall) with paired tidal surge tanks (6’ diameter) capable of generating tidal ranges up to 60 cm. Water is moved within the system via air blowers to recreate natural tidal cycles, with an overall maximum water residence time of 45 days. 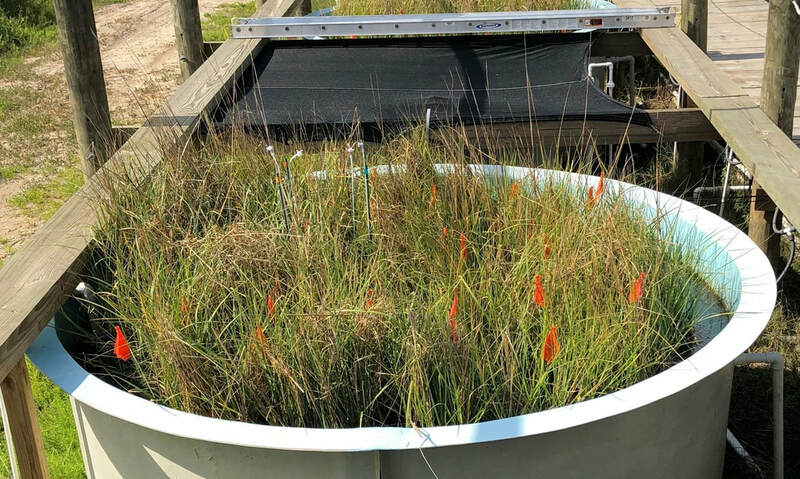 Each mesocosm tank consists of (from bottom to top) a gravel layer with a French drain, geocloth, sand, soil collected from nearby natural salt marsh channels, and a top layer of marsh plants/roots/soil (which is dominated by Spartina alterniflora). To minimize variability between tanks, we planted a uniform community of salt marsh grass collected as intact sections from nearby natural salt marsh. If you want to learn more about the mesocosms or our engineering or monitoring methods, please contact me at broberts (at) lumcon.edu.